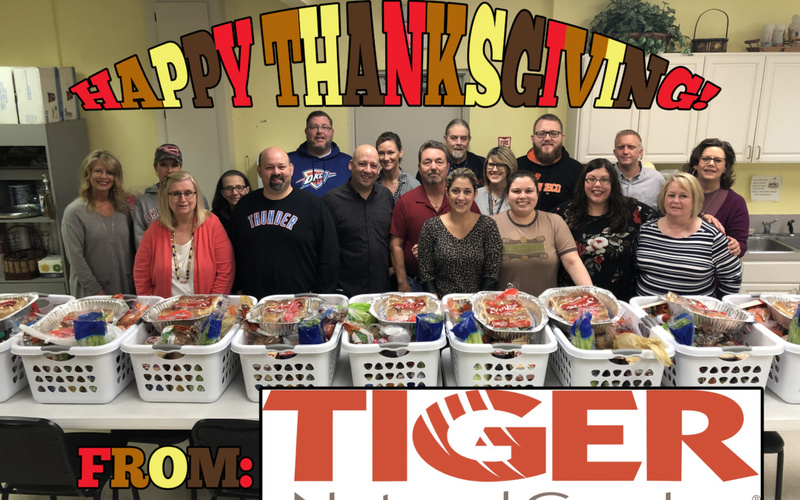 Tiger Natural Gas, Inc. is blessed, once again, to provide Thanksgiving baskets to families at Marshall Elementary in Tulsa, OK. Tiger and its employees donated items for the baskets. The baskets contain everything needed to prepare a proper family meal for Thanksgiving. We wish all of you many blessings this holiday season.